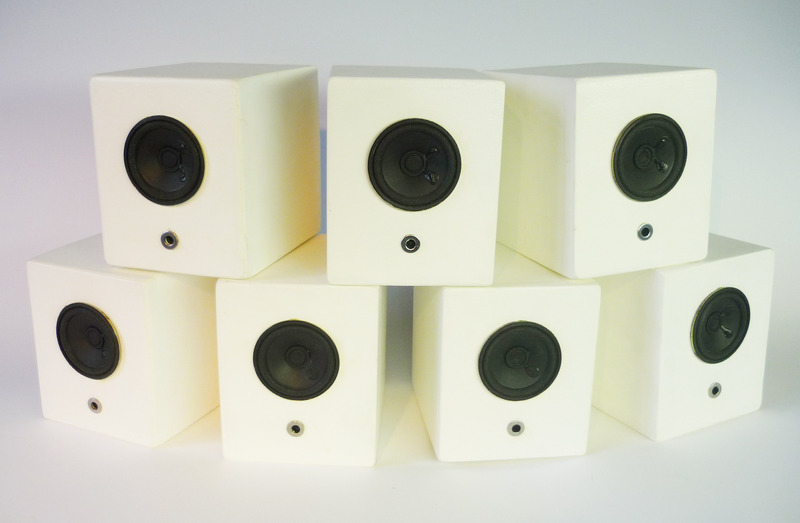 Wooden boxes which playback sounds triggered by motion detection sensors. 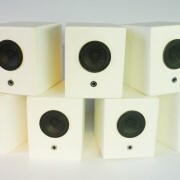 Each box is a battery operating standalone unit and can be assembled with sounds via a build in microphone. Depending how the boxes are placed in an area/room they can create rhythmical patterns initiated by peolple walking by, or create an abstract random soundscape.